Showing results for tags 'Led Zep'. best amp for led zep under $500? ok, so here's a question for you guys. 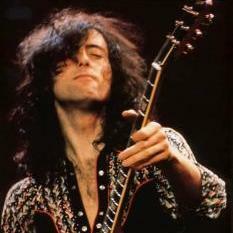 i am looking for an amp that has a gain channel good enough to sound like jimmy page. obviously, we all know that it's all in the fingers ( ͡° ͜ʖ ͡°), but what amp would be nearest to what jimmy uses (not on I but on, II, III, IV, etc)? the amp has to be at least 30 watts ( if you find it necessary to recommend something with a lower wattage, feel free to do so), it has to have built-in reverb, and have a decent clean channel as well as being capable of handling non-metal high gain (e.g. : oasis, foo fighters, van halen). it doesn't have to be new, it can be used, as well as refurbished. preferably tube. so, yeah... suggestions? So I had this one dream that I was in this weird house in London with beige walls and baseboard that wasn't painted. There was wood on the top about a foot (30 cm) tall (it was sideways) and in the corners all the way to the ceiling. Jimmy, Robert and JPJ came in and they looked like they do today. I was with my mom. I asked Jimmy for his autograph and he gave me it. My mom wondered how I knew who was who. Then I asked Robert for his and I rambled on about how Whole Lotta Love had been stuck in my head for a year. Then I asked JPJ for his and I got their autographs. Then the non-zep part of the dream happens and I wrote that part down. I was disappointed when I woke up and remembered the dream when I listened to.....you guessed it Whole Lotta Love. Unsigned bands that sound a bit Zeppy? Hi guy, new to this. What I love about Zep (apart from everything) is that they are STILL 'the' leading influence on rock music, and I think they always will be. We see it in so many established bands but it's great when you still discover it now days in new unsigned bands. I found this band local to me in Cornwall UK that I heard Zep all over the riff - singers are good but aren't like Planty, don't focus on that but it had echoes of what had to be Kashmir, that driving riff/big strings thing going on. I'll start it off by posting this band 'Littermouth' https://soundcloud.com/littermouth/bullets-in-bed-littermouth it made me curious as to what other little unsigned Zep influenced gems are out there (outside of plain old heavy blues stuff) but I couldn't find much on this blog, just established band, hence this topic. Educate us zep heads, I'm sure we'd love to seek out new Zep influences, I would anyway! I have an inkling that the extended solo played by Jimmy Page in Stairway To Heaven from The Song Remains The Same film, might be a combination of the three solos that Jimmy first composed for the Stairway To Heaven in the studio. Is this possible?